Are you an artistically gifted person? Are you good with your hands, paint, thread, scissors, or any other crafting tools? Then earning money online may have just gotten easier for you. For those who don’t already know, Etsy is an online marketplace for handmade goods, and vintage items. Before you start thinking “it’s the eBay of handmade goods” you should read this article first. Calling it the eBay of handmade items is misleading at best in philosophy, and incorrect in function. Essentially, you sign up for a free account, input some information about yourself, what you do, and link your Paypal account. Once you are signed up, you upload images, descriptions and prices of your items, and build your storefront. Each listing supports multiple images, it allows an in-depth description, and it allows you to charge for shipping. You’re more than welcome to list your items, and leave them alone until they sell, but this is a poor business plan for any type of business. In the beginning, you never sit around and wait for the customers to come to you, you go out and find the customers! Setup a domain redirect to your store to make it easier to access and seem more professional. Make your descriptions extremely detailed, and use your keywords! Use the maximum number of tags allowed. Use good keywords, especially in your title. Buy from other sellers to build your initial feedback. Buyers will feel better if there isn’t a zero next to your name. Favorite other sellers’ items that you like. Tweet other people’s products (make sure you @ them on twitter so they might return the favor). Create Etsy Treasury lists (don’t spam the lists with your stuff!). A Star Wars Treasury List (affiliate) is my favorite so far. Team up with other sellers to cross promote complimentary items. This can be done any number of ways, but promoting each others coupon codes is an easy way to track. Be sure to setup coupon codes for different promotions so you can track conversions. Give special codes to friends and family to measure those sales. Don’t think of coupon codes as losing money, think of them as a way to track where your sales are coming from! If someone features you in a treasury, give them a coupon code! The free cards will have a VistaPrint logo on the back, but you can pay to remove it. Include a business card coupon code on the business card to track business card conversions. Include the business cards in packages you’re shipping out to encourage future sales and repeat business. Team up with bloggers, and other website owners to offer an exclusive coupon code for their readers. Do a giveaway of some products to generate buzz, and get your products circulating. Remember to market your giveaway or it will flop! As of this writing, it is 20 cents to list your item for 4 months, and upon sale you pay 3.5% of the item’s price. On top of those fees, you obviously have your Paypal fees, so make sure you account for those as well. If you’re at all familiar with other online marketplaces, these fees are extremely reasonable for the quality of the website, and the amount of traffic they have. If you’re looking to get rich quick, look elsewhere. Running an Etsy shop is like running any other type of business. It requires time, effort, patience, a good product and amazing customer service. If you don’t want to offer these, then get out now, because there are plenty of sellers on there that do. You should research your competition first, and ensure the prices they are charging would allow enough profit margin for you. 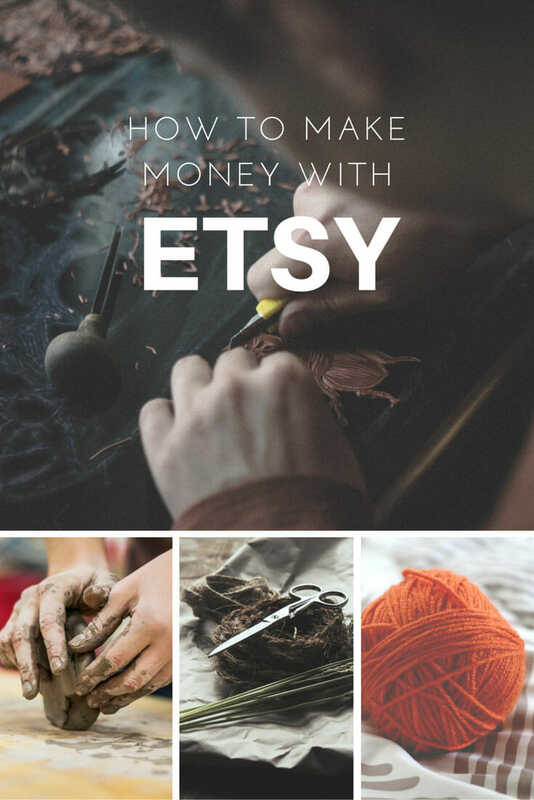 I had read quite a bit about Etsy over the years, and one of the most common complaints is the low hourly wage that many people calculate out. Consider the amount of time it will take you to make your products. If you are wondering if Etsy is the way to go for you, then check out some of the success stories below (affiliate links) and see if they inspire you to do what you love. Leave us a comment if any of the information in this article has been helpful for you! We would love to hear from you! Mrs. Jones’ Soapbox – Over 1,000 sales! Mary Mary Handmade – Over 2,500 sales! Green Belts – Over 2,500 sales! This is my first time to hear about this Etsy website. And reading a review on about this got me interested. I might as will register some of my product online to better understand how it works. I’ve never heard about etsy before, but thank you for this informative post. I’ve learned something about this topic.